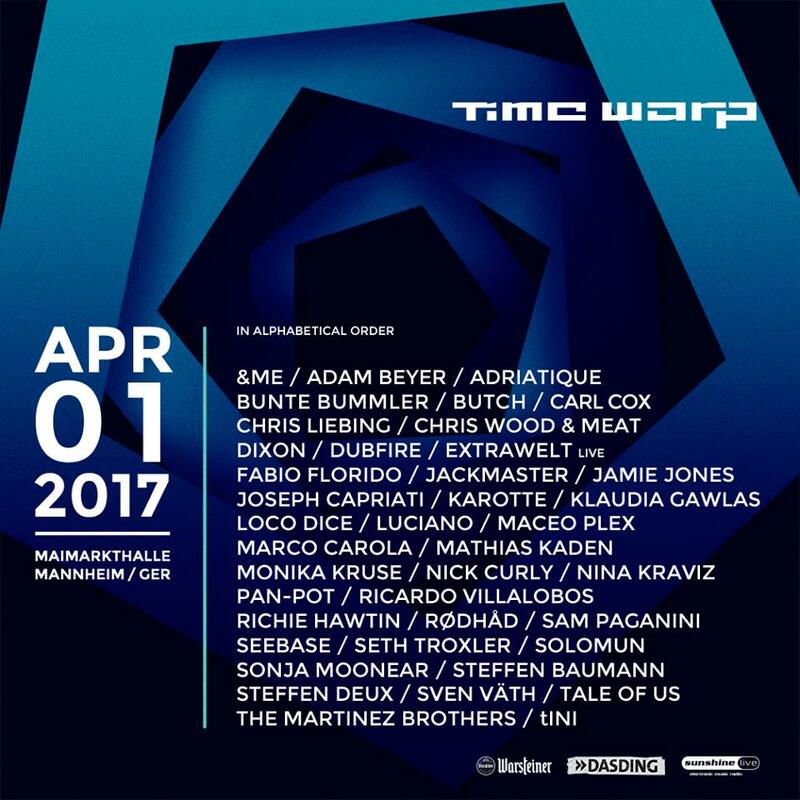 Time Warp makes its return to Mannheim, Germany at Maimarkthalle on 1st April 2017 with dance music legends Carl Cox, Richie Hawtin, Marco Carola and tINI. This year’s Time Warp will also host Rødhåd, The Martinez Brothers, Sonja Moonear, Adam Beyer, Nina Kraviz, Loco Dice, Maceo Plex and Tale of Us, who are all set to spin in from of over 17,000 attendees. Adriatique, Jackmaster and Fabio Florido will also make their debut appearance at the long-running festival this year. The 23-year old rave-up will bring performing artists to six dancefloors with each area showcasing its own visual displays, lighting shows and production. Purchase your tickets here and view the line-up of artists below.